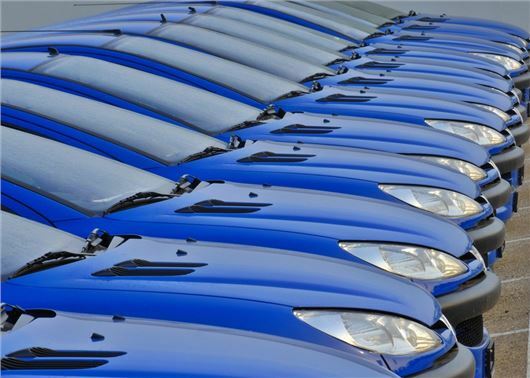 The number of cases of car cloning in London has risen by 50 per cent in just one year, with concerns that similar levels of cloning may be rife across the rest of the UK, according to official figures. HonestJohn.co.uk analysed previously unseen Transport for London (TfL) data for the Congestion Charge zone and found that the number of Penalty Charge Notices (PCNs) being cancelled due to car cloning has soared. In 2016 the number of PCNs cancelled on the grounds that the car was a clone was 1099; however, in 2017, this figure increased by 50 per cent with 1652 cases being recorded by TfL. Data for the first six months of 2018 show that car cloning continues to rise, with official figures up by a third on January - June 2017. The true figure for the number of cloned cars on the road in London could be much higher, given the complex and lengthy PCN appeals process and the fact that the Congestion Charge zone only operates Monday to Friday. In the event of a PCN being issued due to a cloned car, the legitimate registered keeper is required to provide evidence to satisfy the issuer of the ticket that their car was not at the time and place where the alleged offence occurred. As part of its response to HonestJohn.co.uk’s freedom of information request, TfL said: "Prior to issuing the PCN we manually verify that the image of the vehicle observed in the zone matches the vehicle information provided by the DVLA. Only when there is a match is a penalty issued. At the point of issuing the penalty we would not know if a vehicle had been cloned. "On receipt of the penalty a motorist can follow the representations and appeals procedure and challenge a PCN. If we receive a representation stating a vehicle has been cloned we request evidence to confirm this." Insurance claims investigator Philip Swift told HonestJohn.co.uk: “There are a few steps that car owners can take to protect themselves. As for owning a vehicle that may be cloned, I have always stuck a logo on the back of my car – it’s not foolproof but I tell myself if someone gets caught going through a speed camera then I’ll know it’s not mine and demonstrate I have a sticker. “Taking a photo of the front and rear of your car at purchase can help – if a crook clones it, then they will need plates - are they really likely to get them from the same place as your car has displayed, with the same dealer mark or logo? It’s then for the police to present an image that clearly displays the plate on the offending vehicle. “Presumably most [drivers] are concerned about speeding and parking tickets. Telematics could help – they put a car in a place at a specific time. Better than dash cams unless you save every day’s footage. "At the point of issuing the penalty we would not know if a vehicle had been cloned." If this is the case, shouldn't the over-reliance on revenue-generating automated cameras, rather than proper road policing, be questioned instead of harassing poor innocent motorists? There's a huge culture of 'I do what i like' now in London among a lot of people (such as potential terrorists), so automated cameras are not a good way to enforce good road behaviour to those that need to learn it. I thought people are supposed to be innocent until proved guilty, so it should be TFL's job to prove the car was the unlucky person's who got the fine, not the other way round. If I'm not the person in the driving seat when the offense and the video / picture took place and contest that, they need to do the running around to verify it - then compensate me for wasting my time, making false accusations and stressing me out. GDPR - General Data Protection Regulation - I'm fed up hearing how the DVLA sell people's private details and sensitive information to anyone that pays for it (and in this case, without justification as the person they are attempting to track down hasn't actually done anything wrong!). TFL are not the police, just like all the other morally corrupt organisations that can buy this data for a few quid. With the new GDPR laws coming into effect last May, someone needs to look into the goings on of the good old DVLA and see them suitably reprimanded. I am surprised the numbers are so low. Spies in the air are treated with disdain in our (once) free and (once) pleasant land. Still,winter approaching and our number plates can be covered with road spray.The fascists will make us have number plates washer/wipers next. Dubious about the checks made. My friend who owns a white Cascada got a Thames Crossing PCN showing a picture of a grey Zafira displaying his registration! Many thanks for Philip Swift's tip about photographing the number plates. As he said, it's not completely foolproof, but could be a worthwhile aid which is cheap and easy to implement. I like the idea of the photo but might it not be a good idea to get a location or neighbor's car also in the picture and as long as the date is on the picture both of you have an indisputable proof of your cars identity. A specific sticker or permanent marker on the number plate(s) would also help. After his death, I lawfully transferred my late fathers car to the local garage he had used for years. As executor and whilst dealing with his estate, a month later I received a summons from the courts, with a photo attached, of his car breaking the speed limit on the M11 in Essex (he lived in Norfolk.) He was recorded as the registered driver. I was in no mood to respond to explain to Essex Police that he had been dead for 3 months and I gleefully awaited for further prosecution. Needless to say, it never came. These things take time for a computer to digest!! !